Browse: Home / domainhunter – Checks expired domains for phishing and C2 domain names. 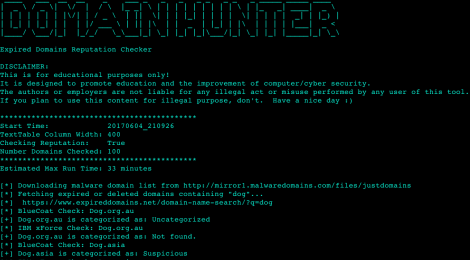 domainhunter – Checks expired domains for phishing and C2 domain names. If you plan to use this content for illegal purpose, don’t. DomainHunter is a tools for Domain name selection is an important aspect of preparation for penetration tests and especially Red Team engagements. Commonly, domains that were used previously for benign purposes and were properly categorized can be purchased for only a few dollars. Such domains can allow a team to bypass reputation based web filters and network egress restrictions for phishing and C2 related tasks. ← Belati – The Traditional Swiss Army Knife For OSINT.